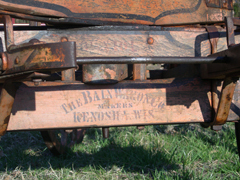 When it comes to prominent names right out of the Old West, Bain Wagons (Kenosha, Wisconsin) carry a strong legacy. 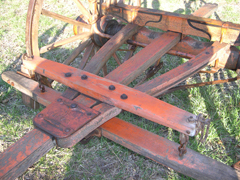 This high wheel Bain is an original piece with good pin striping still on the gear and strong logos on both the front and rear axles. 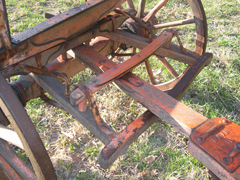 Due to some weathering, the paint had faded somewhat on the gear, but a special preservative treatment has brought back much of the original vibrancy. 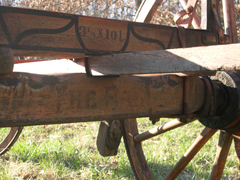 Wheels measure 52” on the back and 44” on the front. 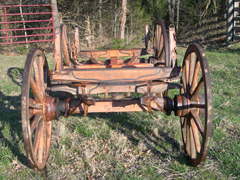 Wheel track is 56” and the box width is 38” with a length of 10’ 6”. 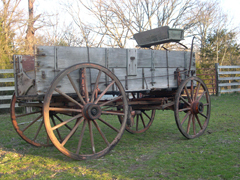 The wheels do have several felloes in need of replacement. 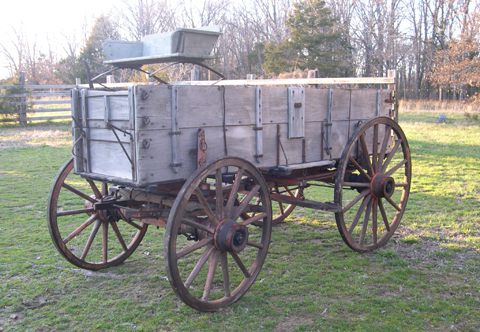 With original brakes, taller wheels and 15 ½” standards, this wagon would be an ideal candidate for chuck wagon competitions or an individual collection. 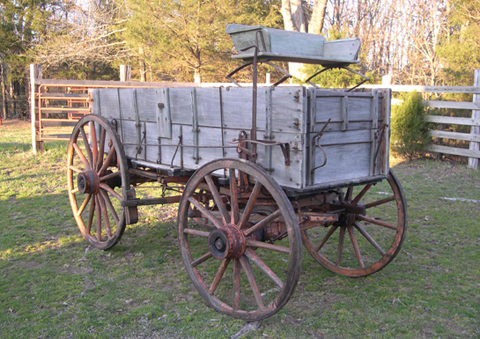 We found the wagon outside – fully exposed to the elements - but believe it to have been in a leaky open shed for some time. 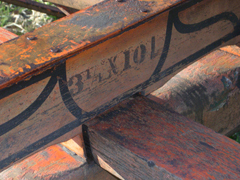 There are still a few remnants of paint on the box, but most has been worn away by the sun and elements. While the sideboards are solid, the floor and footboard will need to be replaced. Most of the hardware still seems to be intact – right down to the original, uniquely slotted screws. 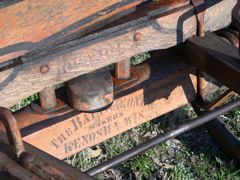 The spring seat is also an original Bain seat. These pieces are getting harder and harder to find. 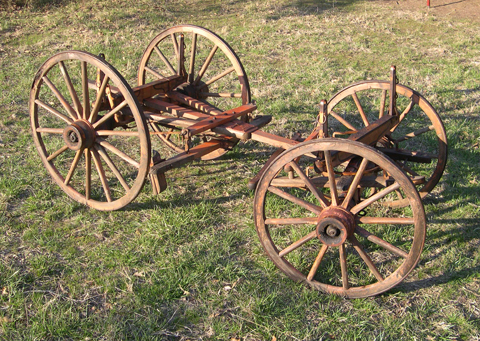 Even with a few repairs needed, this is an extraordinary example of a vintage high wheel Bain wagon. Serious inquiries only, info@wheelsthatwonthewest.com for more details and price.